Here are some more pictures from the Earth Day release. These are the three turtles we introduced in the recent blog: Before and After—Frankenberry, Crunchasaurus Rex and Lucky. Here's Cruchasaurus Rex. 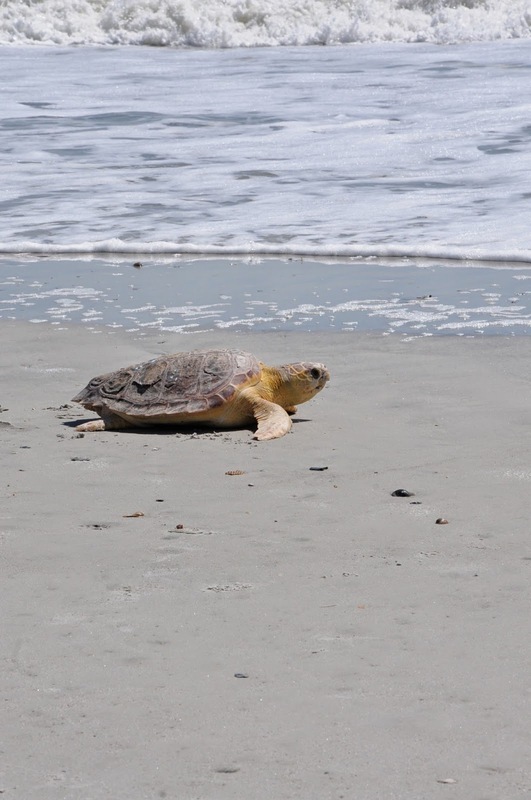 The last time this turtle was this far south would have probably been as a hatchling, approximately 3 years ago. Senior Biologist Julika Wocial getting ready to release 007. "Crunchasaurus Rex" 007 feels the warm Florida water again. 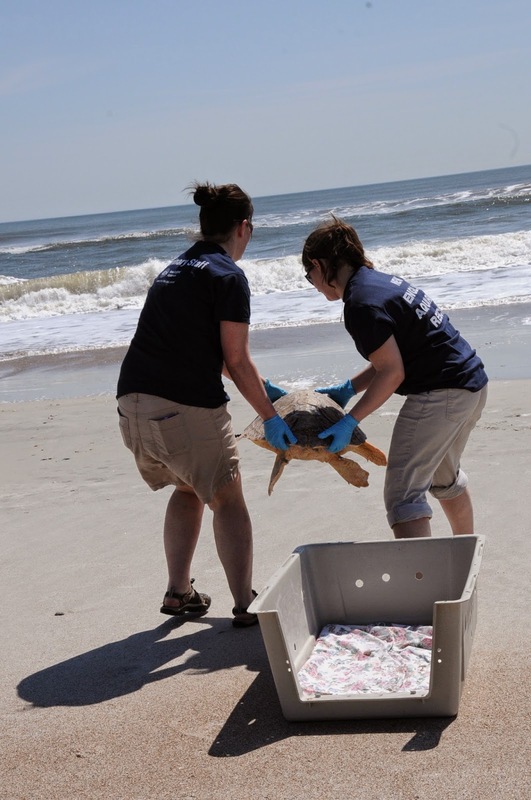 The next turtle was one of two loggerheads released on this trip. "Lucky the Leprechaun" 090 required two aquarium personnel to get the turtle out of its transport kennel. 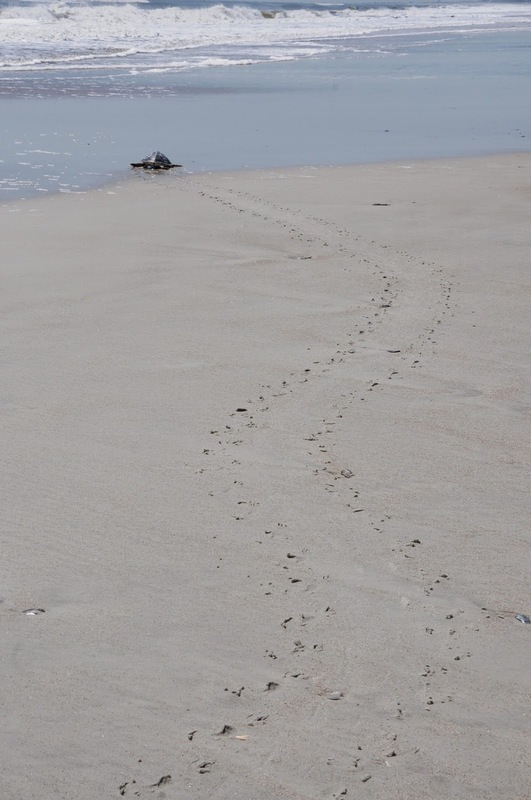 Once out and on the beach this turtle steadily ambled its way back to sea. help get "Lucky" out of the transport kennel. 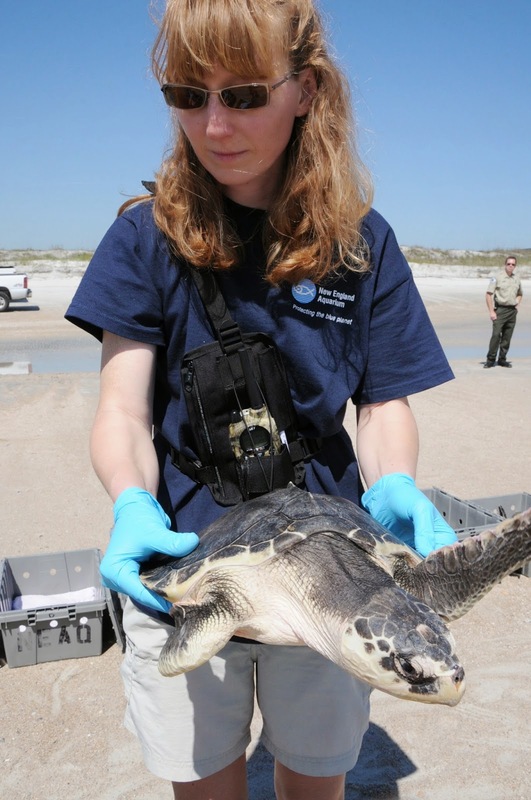 The other Kemp's ridley we posted about, "Frankenberry" 023, was released alongside several other turtles. 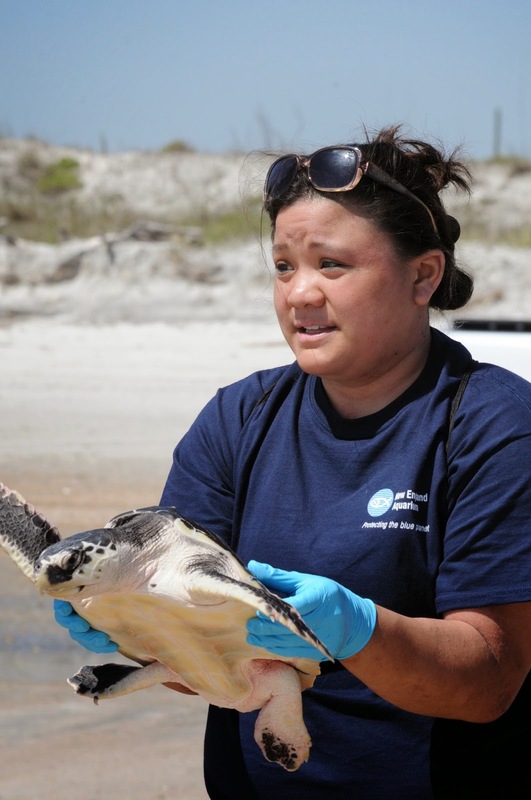 Nikki Wong, volunteer for the Rescue department getting ready to release the turtle. We still have several turtles in the rehab facility that are being cared for. Stay tuned for updates on previous turtle cases, like 067 "Kaboom". Also, to hear about other turtles such as 016 "Honeycombs" and 022 "Pop".